This book is an excellent introduction and workbook for all who are interested in producing high-quality black and white photographs for viewing or printing. Highly recommended. Black and white photography is a fascinating but unusual subject. When you don’t know very much, it can be difficult to produce even a reasonable image. But once you understand the fundamentals, producing great images can often be much easier than many “experts” might have you believe. In this book I share a successful approach to creating great black and white conversions from your digital colour images. More importantly this book is designed to provide the beginning and intermediate photographer who uses Lightroom with techniques and skills to produce excellent black and white work. For this first edition of Black and White Mastery, the desire was to focus on using Lightroom as it’s one of the most popular editing packages used by photographers. It’s also been a regular request from many readers of my other books. They asked, can’t you explain how to achieve good results using just Lightroom, without me needing to buy extra plug-ins? The answer is yes and the process is full explained and demonstrated in this book. The link between pre-visualization and successfully editing your image with Lightroom. The tools and techniques of the black and white photographer and how these can be applied to improve your images. How the Lightroom toolset is linked to black and white photography techniques and how to deploy them in your work. At the end of the book you will find three full length worked examples taking you through every aspect of the conversion process, from the beginning colour image to the complete black and white photograph. The RAW files for the images in the worked examples are available for you to download from my website (www.lenscraft.co.uk), allowing you to follow every step on your own computer. This book contains 161 illustrations and is over 27,000 words in length. The illustrations were produced using Lightroom CC but the book is also applicable for earlier versions of Lightroom, back to version 4. 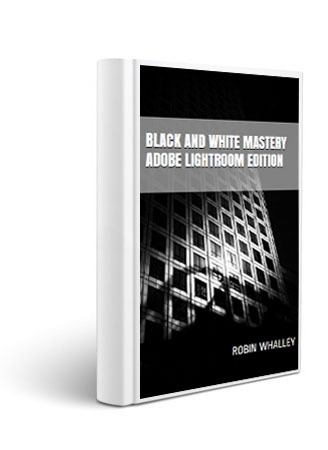 Users of Lightroom editions prior to CC (October 2015) will find that the book also describes tools from later Lightroom versions. This will not prevent the techniques described, from being applied and makes the book relevant should they decide to upgrade.